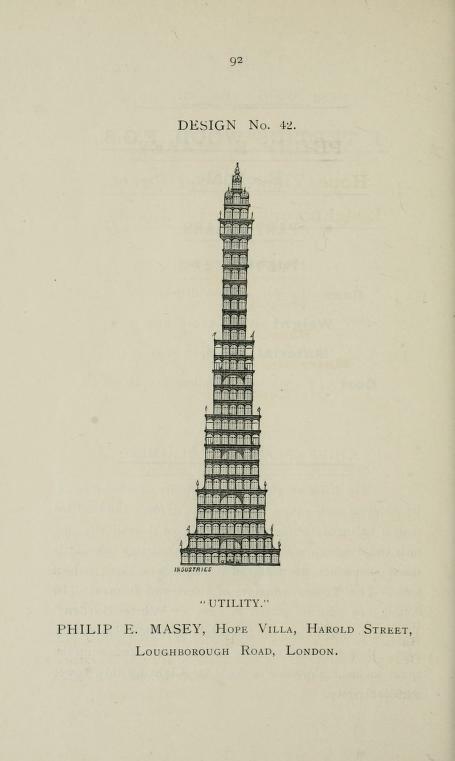 A selection of the more inventive entries to a competition to design a new tower for London. The year previous, 1889, saw the hugely successful Eiffel Tower go up in the centre of Paris, and the good people of London, not to be outdone, decided to get one of their own. 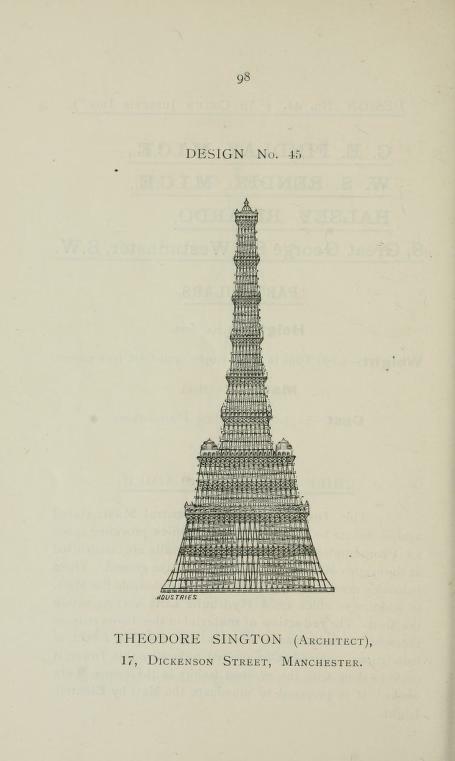 A wonderful array of designs were put forward. 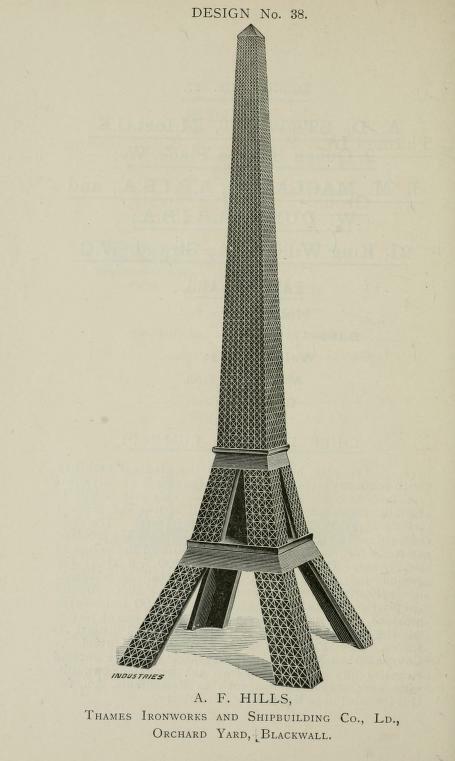 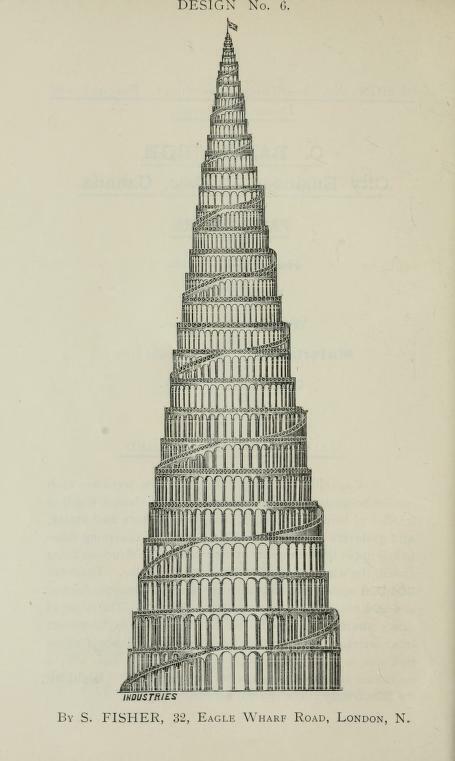 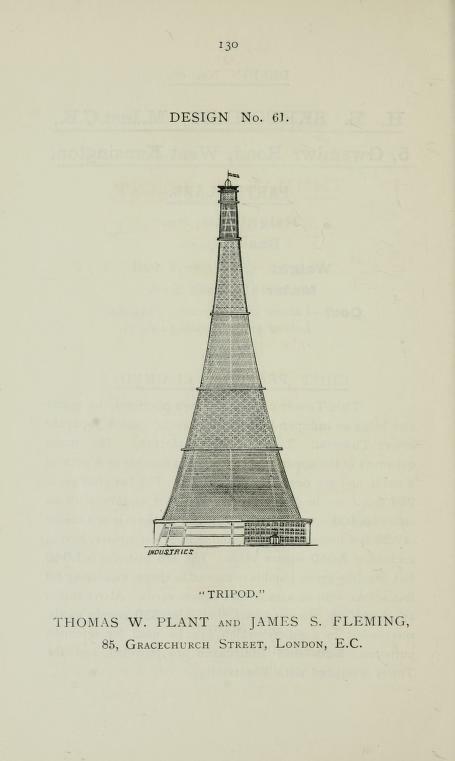 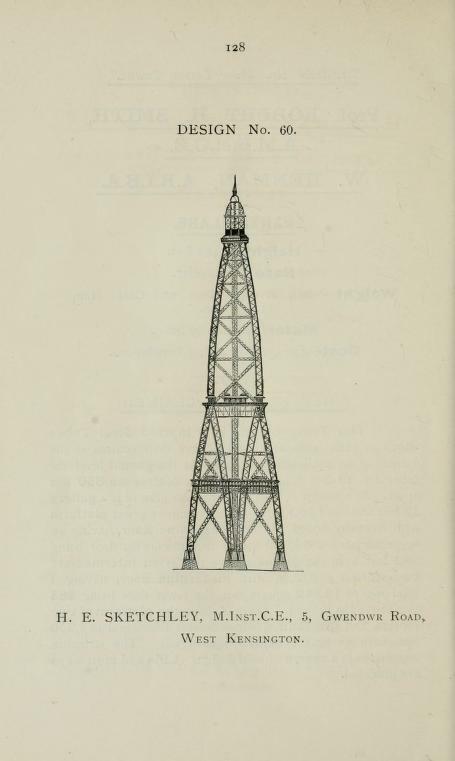 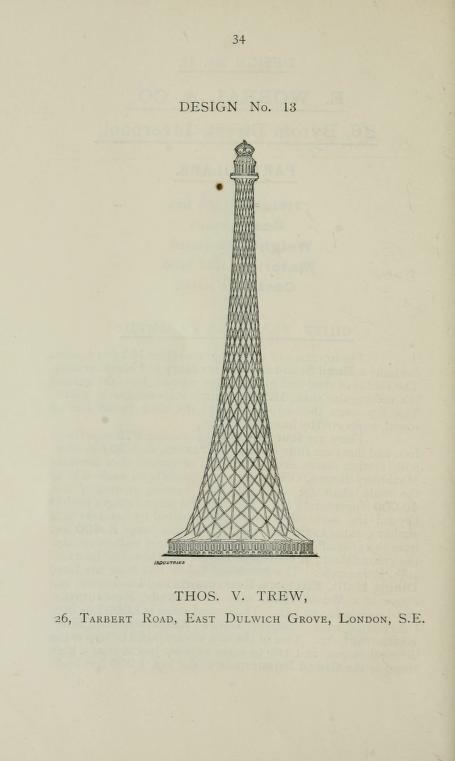 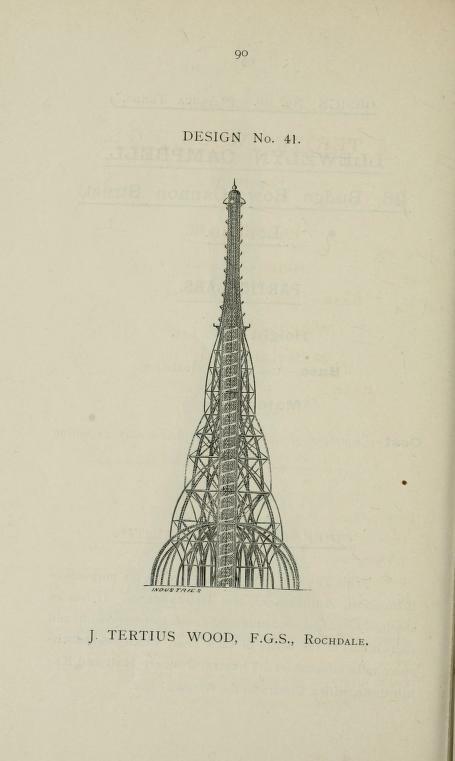 Many were suspiciously similar to the Eiffel Tower and many erred on the wackier side of things, such as Design no.19, the “Century Tower”, reminiscent of a huge screw, and London Vegetarian Society’s design for an “aerial colony” which came complete with hanging vegetable gardens and a one-twelfth scale replica of the Great Pyramid on its summit. 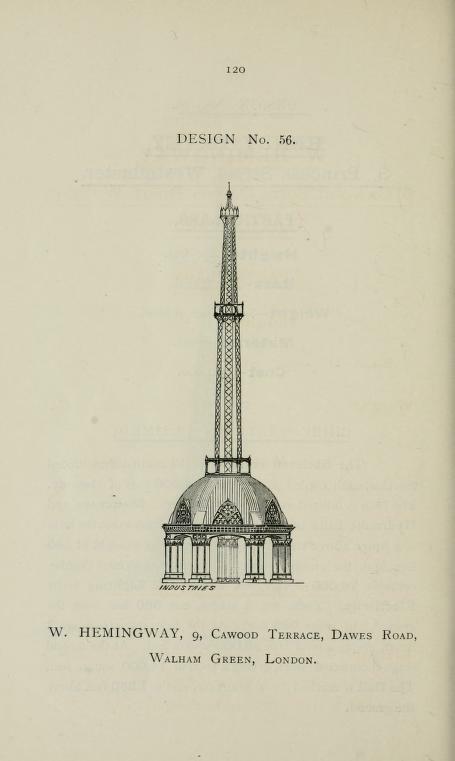 The very practical design number 37 by Stewart, McLaren and Dunn was eventually chosen to be awarded the 500 guinea prize-money and built in Wembley Park. 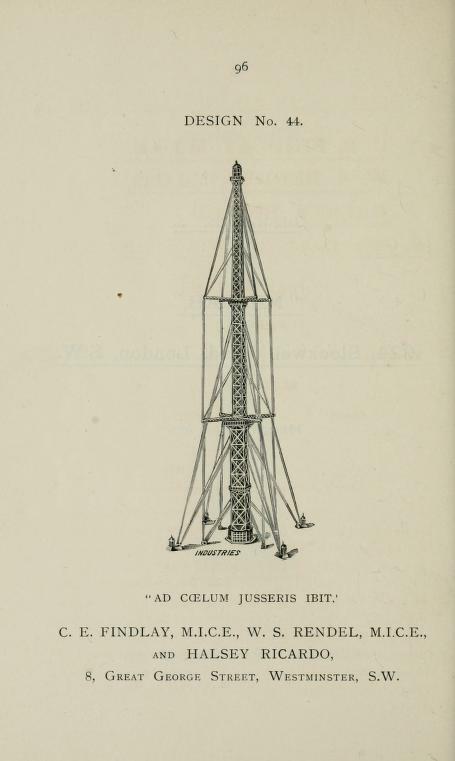 Construction began in 1892 but the company in charge of the erection, The Metropolitan Tower Company, soon ran into problems including falling chronically behind schedule due to marshy ground and then financial difficulties which eventually led to their liquidation in 1889. 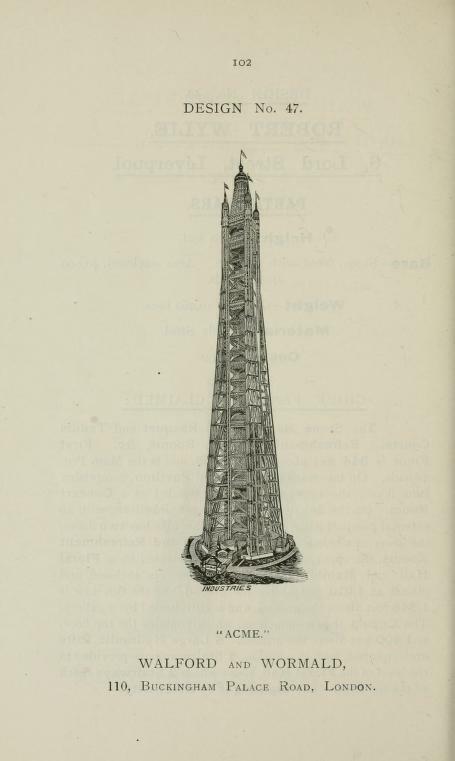 Construction ceased after only 47 metres had been completed. 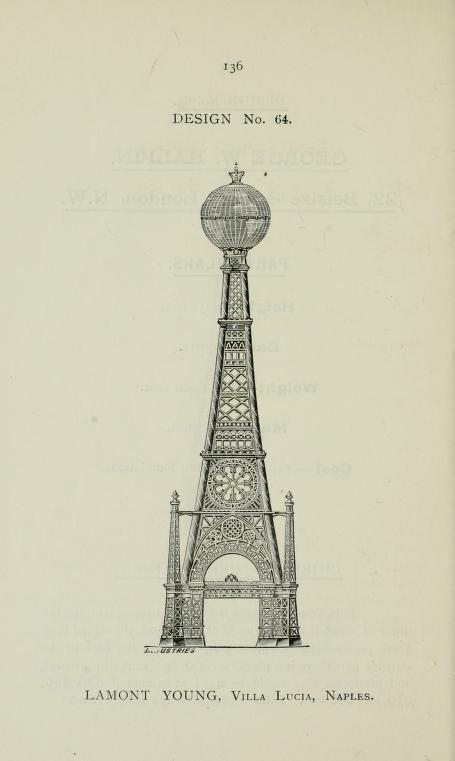 The abandoned ‘tower’ (known as the Watkins Folly, or The London Stump) remained a spectacle in the park for a number of years before being deemed unsafe and blown up in 1904. 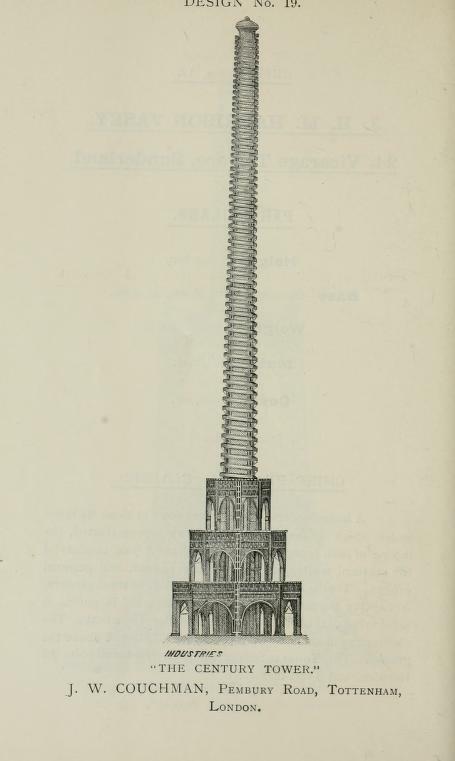 Wembley Stadium ended up being built over the site for the 1923 British Empire Exhibition. When the stadium was rebuilt in 2000, the lowering of the level of the pitch resulted in the concrete foundations of the failed tower being rediscovered. 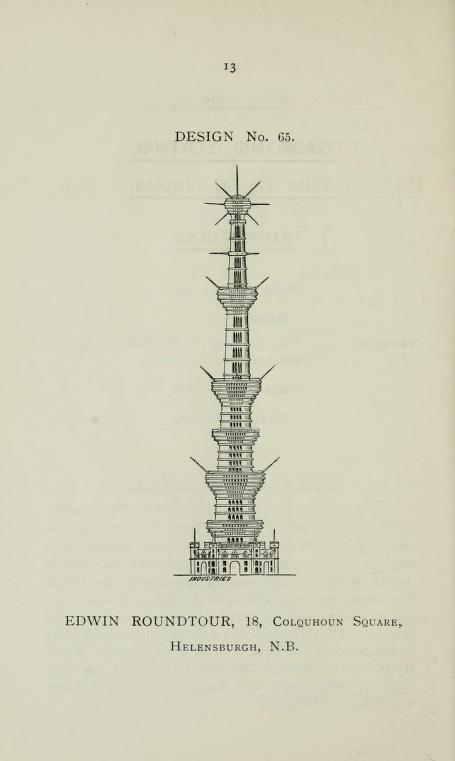 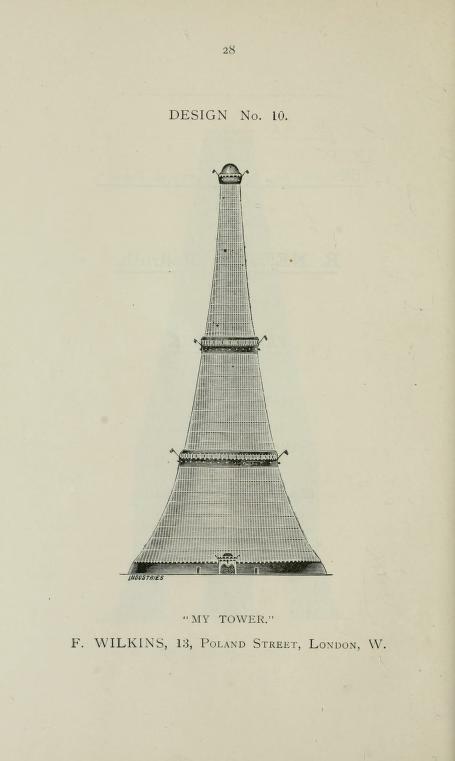 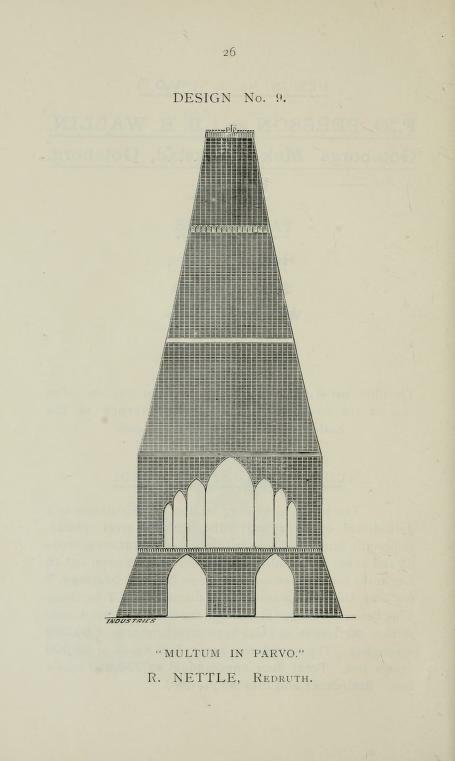 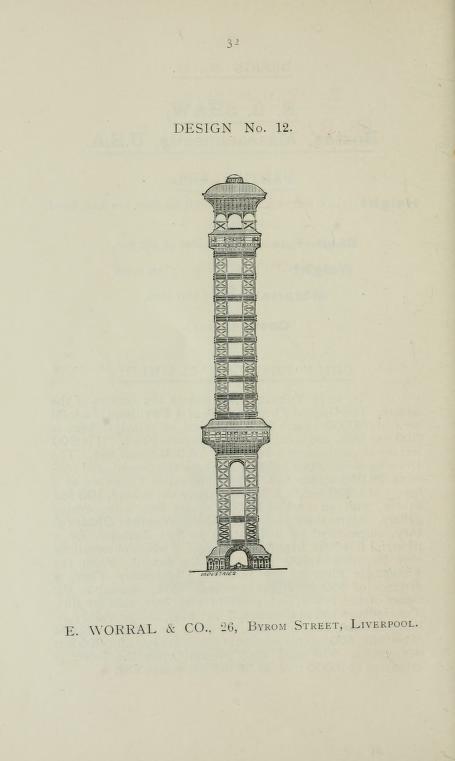 All images extracted from Descriptive illustrated catalogue of the sixty-eight competitive designs for the great tower for London compiled and edited by Fred. 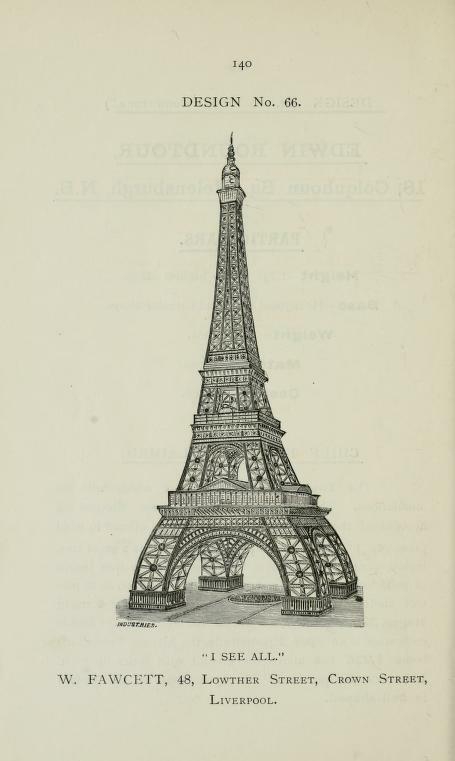 C. Lynde (1890). 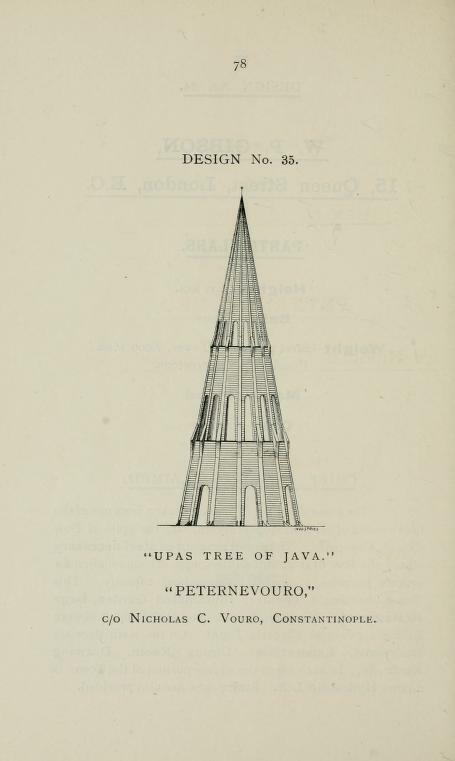 See the book in its entirety, including descriptions and more design entries, here in our Text collections.